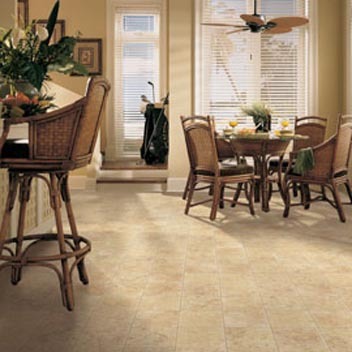 Description: New Brighton is a 12” tile pattern that utilizes the look of ancient limestone. The tiles depict timeless simplicity, varied color and subtle texture that only centuries of wear can bring. Perfect in any room, New Brighton surely adds sophistication to any décor.